Bank of America is the only bank who doesn’t raise your credit limit even after years of perfect payment history with them. Then when you apply for an additional card, they’ll deny you even after five years of perfect credit with them. Bank of America is shady and the absolute worst bank in America. I hate this bank. They have raised my credit multiple times and I didn't even ask because I'm never close to the limit. I started with like 600 and 4 years later is 20k. I started with a limit of 11 or 12 thousand a few years ago and Now its at 18000. My spending habits haven't changed just because they increased the limit. What qualifies an individual for $10K+? Meaning, for those of you who have a limit of $10K+, what was your Credit score and income level when you applied please? Thank you! I whole heartedly agree with you BOA is garbage, the Absolute worst Bank in the USA. Was your PIN a 5 digit pin. Gas stations in Europe many times require 5 digit pin. I have used my card for years in Europe all over with out issue. I have boa accts and applied in a branch with a person. I received an immediate approval. 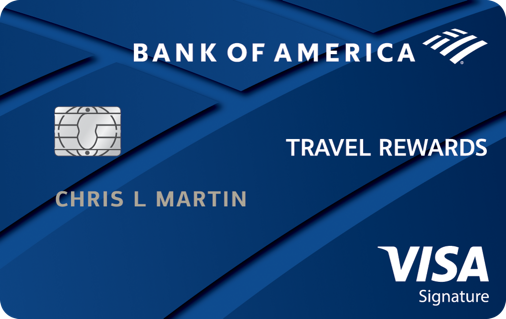 No annual fee, $1k spent over 3 months for intro points, and since I have a boa acct the points are given an additional 10% boost. Claims dept is very bad.. I have this card for 3 years now. In normal use, its ok card but if any wrong transaction happens or if you have any other claim ...forget it to be solved positively, customer is always at loss. They handle claims in worst manner with no clear reason of rejection or how they reached the decision on the claim.